Truth, too often, can turn into cliché. Seville has its flamenco, its bulls, its fiery tempers. Madrid has its suckling pig and its old-school pomp. Bilbao is tough and gritty, with a heart of gold. So far, so familiar. But by contrast, Barcelona’s truths have been harder to distinguish. Ordered and chaotic, traditional and forward-thinking, it’s been resistant to platitudes over the centuries, and remains a pleasingly elusive place. Of all the unlikely commentators, Leon Trotsky nailed Barcelona as well as anyone. ‘Like Nice in a hell of factories,’ he wrote in 1916. ‘Smoke and flames on the one hand, flowers and fruit on the other.’ Granted, the factories are long gone, but their stamp on Barcelona’s history has proven indelible: the locals now work almost as hard in banking and commerce as they once did in the textile mills, and Catalonia is still considered the powerhouse of Spain in many of the same ways. And the smoke and flames of those tumultuous decades still linger in the fervent nationalism and endless demonstrations about perceived wrongs committed by central government. Despite its uncompromising bedrock, Catalonia has managed to be the font of much of the country’s creativity. With his erstwhile restaurant, El Bulli, Catalan chef Ferran Adrià had a profound effect on the world’s gastronomic culture, much as Salvador Dalí did with art and Antoni Gaudí with architecture. And while Picasso wasn’t Catalan, he considered Barcelona his spiritual home and his artistic muse. But although Barcelona’s cultural figureheads continue to hold plenty of appeal, the city has more to offer than the creations of these famous residents. From the characterful medieval quarter via the elegant, 19th-century Eixample to the regenerated waterfront, the city rewards the curious pedestrian, its streets awash with beauties, curiosities and diversions. 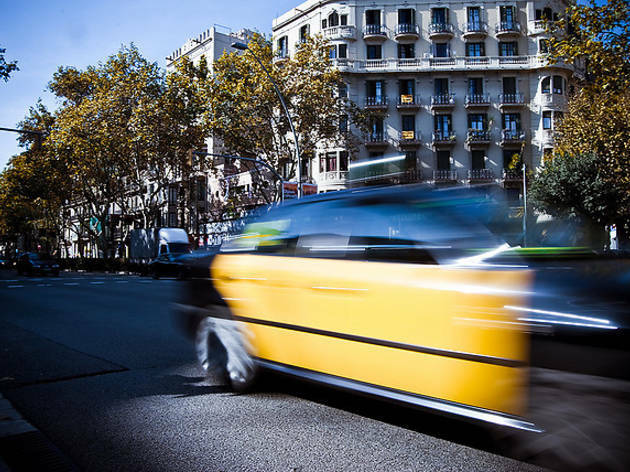 Indeed, the very urban fabric of Barcelona is deliriously vital: grand with medieval design, playful with impish street art and ablaze with Modernista colours and furbelows. Or, as Trotsky might have it, flowers and fruit. Barcelona perhaps lacks a list of must-see venues to tick off and photograph, but to miss out on some of the exuberant buildings of the Modernistas would be an opportunity wasted. It’s also well worth dipping into the city’s fabulous set of museums, and taking in a selection of its ancient churches, elegantly landscaped parks and bleeding-edge architecture. Here you’ll find scores of places in which to slake your thirst and linger over lunch, along with a rundown of the best accommodation options – everything from deluxe five-star hotels to short-term apartment rentals. You’ll also find an extensive list of Barcelona’s more fascinating stores. Spain’s culinary revolution has been one of the world’s most significant gastronomic shake-ups in recent years, and Adrià’s hot jellies, foams and edible clingfilms provided much of the impetus. Barcelona has greeted this new dawn with open arms, and the city’s chefs now give the Basques a run for their money when it comes to unrestrained creativity in tandem with the dogged pursuit of ever more superior produce. Mass immigration has also played its part, adding ethnic variety to a culinary scene that offers both tradition and adventure. Independent traders are holding their own in Barcelona. As with most other major cities, the call of the mall grows ever stronger in Barcelona. However, although the credit crunch has picked off many small start-ups, plenty of alternatives remain. Barcelona remains known for its old specialist shops, many family-run for generations: there’s nowhere better to browse for just the right kind of pork sausage or votive candle. Fashion is another strong point: head up Passeig de Gràcia and beyond to the Avda Diagonal for high fashion and couture, or trawl the Born, the Raval and Gràcia for an ever-changing line-up of local designers selling from hole-in-the-wall shops. Indeed, the centre of Barcelona is so crammed with retail outlets that it can feel like one enormous open-air department store. The economic crunch is being felt everywhere. However, it’s hit Spain particularly hard, thanks in no small part to a weak pound that’s kept the Brits’ belts tightened. However, the economic downturn has had its flipside here in the city. Barcelona’s popularity during the last decade and a half has seen it grow rather too big for its boots, with hotel prices reaching excruciating levels. 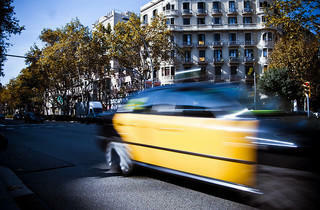 But thanks to the slowdown, Barcelona’s hoteliers have had to drastically rethink their modus operandi. Nowadays, the travelling masses want to see quality at a fair price: while there are still plenty of luxury options for those who can afford it, creativity in the mid-range is starting to boom with rooms ranging between €80 and €150 a night. These days there are even some bargains at the top end, particularly at weekends and during the holiday months. Barcelona’s arts scene is accessible to non-Catalan speakers, thanks to its dance companies and its tradition of visual theatre, and is the best city in Spain in which to hear live music, from Mozart to Muse. Barcelona makes no claims to be a party capital, despite a somewhat unwarranted reputation as such, but there is a reason that stag parties and night owls from around the globe head here in such numbers. There isn’t the 24-hour, seven-days-a-week party vibe that you’ll find in Ibiza, but there’s an energy and creativity in the local nightlife that isn’t found anywhere else. It’s a mood that’s made and fostered by a population who party well, know when to go for it and when to call it quits, when to buy you a beer and when to leave you alone, when to clap and when to soft-shoe… but who most of all understand that going out is a necessary part of life that should be done right if it’s to be done at all.